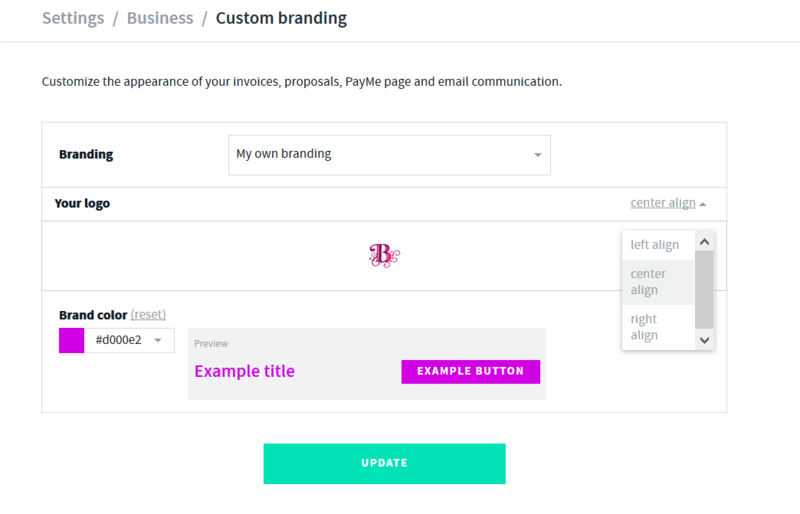 Customize the appearance of your invoices, proposals, PayMe page and email communication with AND CO.
Upload your logo here to display it on your Proposals, Invoices and Emails! 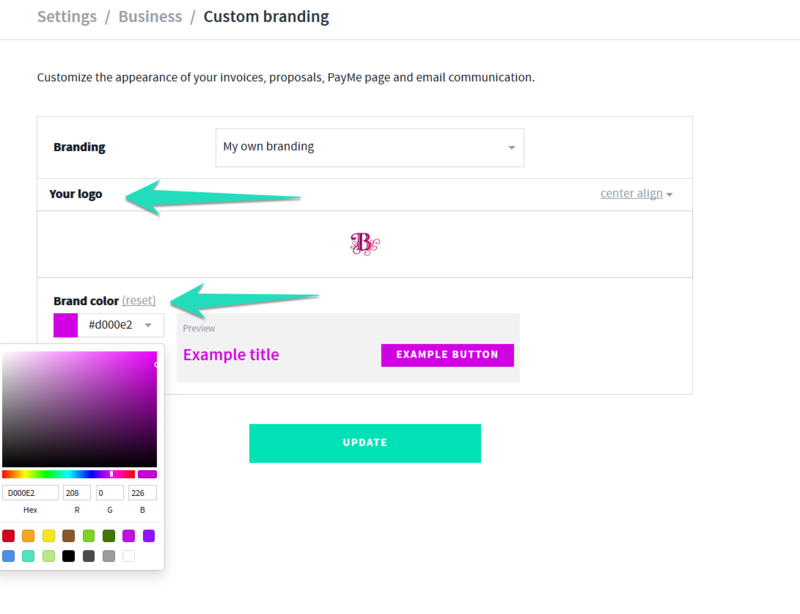 Select > Upload Logo or drag and drop logo to be uploaded and select your branding color. You can also select to set the alignment of your logo from the options located to the right. 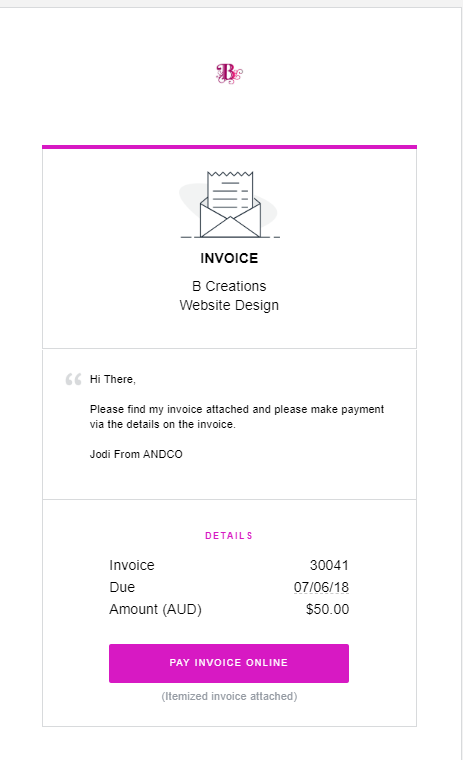 Invoice email sent to your client example with custom branding. 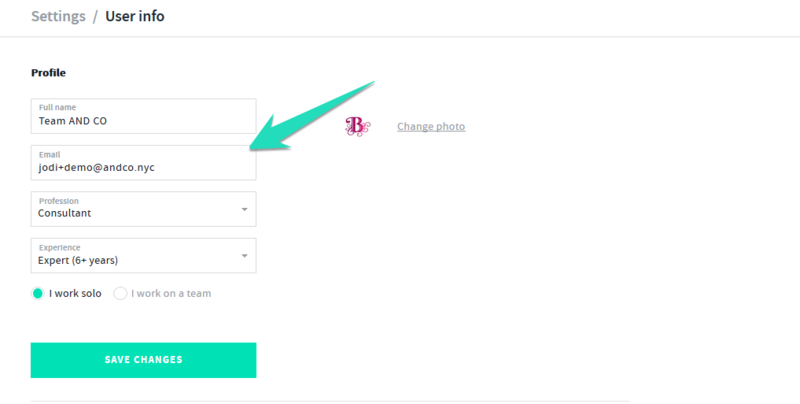 If you are on AND CO Free select to turn ON the option to remove AND CO branding from client facing communications and upgrade to AND CO PRO! 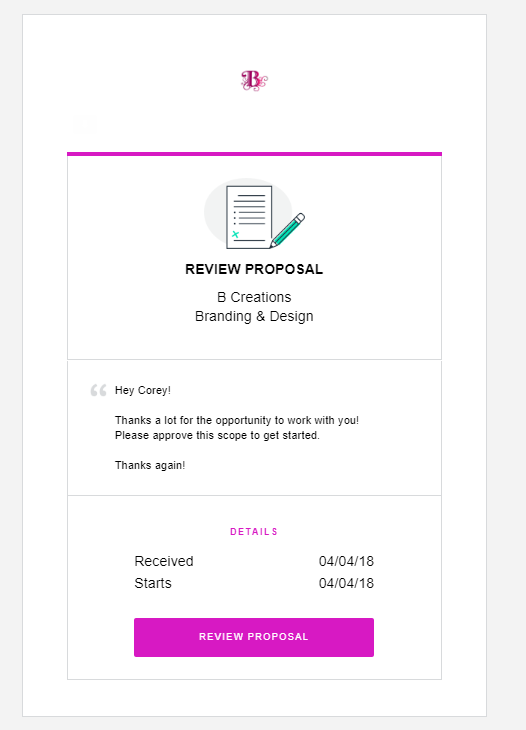 See more on how to Remove AND CO Branding from client communications such as invoices, emails, proposals, contracts and subscriptions here by upgrading to AND CO PRO! 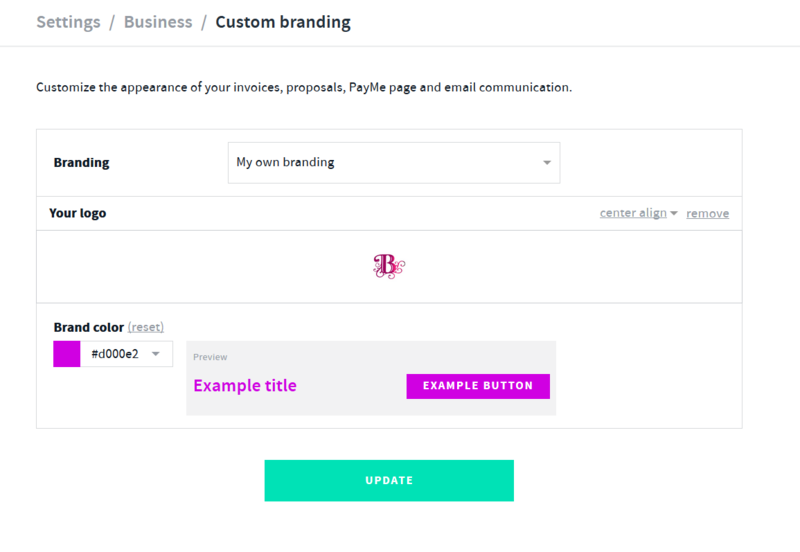 Your client will receive a unique email with your custom branding which is different to the confirmation emails you will receive. Your name set up within your settings > account > user info is the name used on emails sent to your clients. 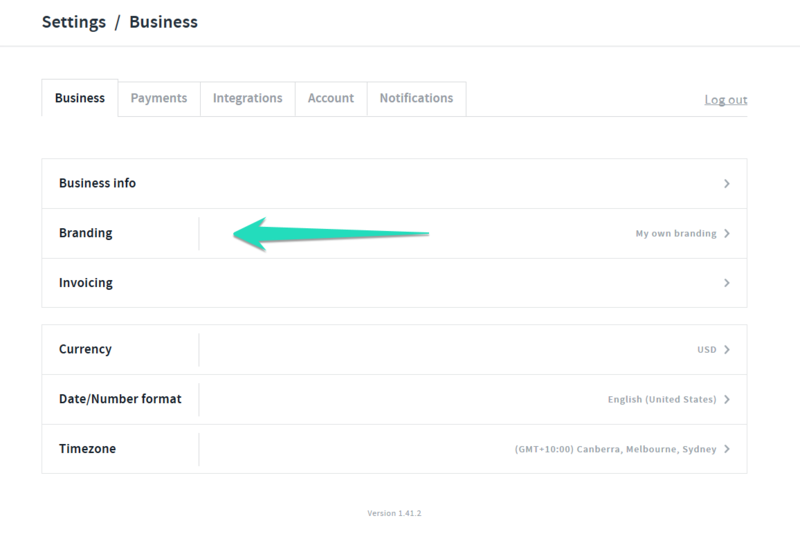 To fully remove AND CO branding from correspondences, you can upgrade to our AND CO Pro paid subscription!